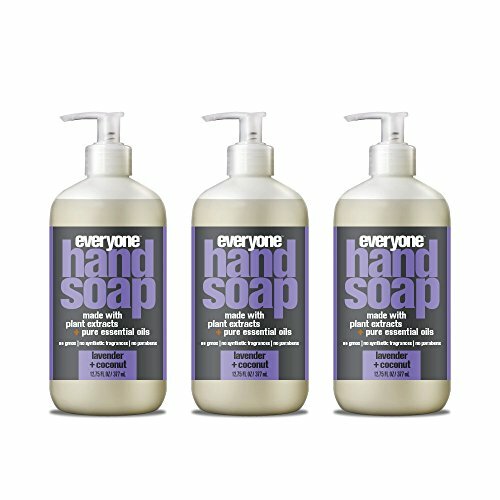 Everyone hand soap lavender plus coconut for this soap we blended lavender essential oil with coconut extract to create a soothing hand washing experience. Lavender essential oil is well known for its skin-healing properties and we are known for using lavender essential oil in many of our products. Great as a hand soap offering in your foodservice facility. Soothing hand wash with no synthetic fragrances. Enriched naturally with essential oils for skin healing. Manufacturer: EO Products / Small World Trading Co. Publisher: EO Products / Small World Trading Co. Studio: EO Products / Small World Trading Co.